• Trim off damaged and split ends frequently, as they obstruct the hair growth process and make the edges of your hair strands weak. • Keep hair clean. Make sure that your scalp and hair are always clean. It will help your hair grow faster. Dirt clogs the hair follicles, which makes it more difficult for hair to grow. However, do not shampoo every day, as men’s hair get easily damaged, and excessive shampooing can dehydrate hair and cause breakage. Shampoo twice a week while cleanse hair with conditioner daily. • Rinse hair with lukewarm water. Never use very hot or cold water to wash hair. It makes them brittle. • Condition hair daily. Ensure that you use a conditioner at all times after shampooing your hair. Conditioner helps soften and detangle hair. • Deep condition every alternate week. Use a deep conditioner that contains protein at least twice a month to strengthen hair. Hot oil treatment with olive oil to intensely moisten the hair follicles is also very effective to stop hair fall. • Be gentle with wet hair. Don’t comb, pull, tug, twist, or be rough with your hair in any way immediately after hair wash. Hair roots are weak and prone to breakage when wet. • Say no to chemical treatment of hair. Chemical treatments like relaxers do make curly hair look longer, though they drastically slow down the growth of men’s hair. 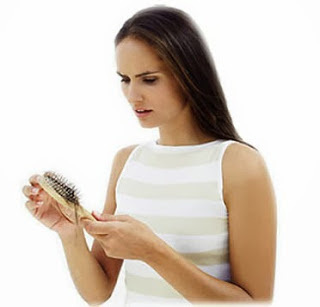 • Avoid using hot hair-styling products. Use of hot irons, blow-dryers, and other appliances producing heat damage the hair. Ensure that your blow-dryer is set on a low temperature setting. • Protect hair from damage due to heat by applying a protein lotion before you use a blow-dryer. • Lubricate your hair. Using a moisturizer greatly reduces the chances of split ends and promotes hair growth by diminishing breakage. However, to avoid overtly oily hair, use only a little moisturizer or try lubricating your hair a couple of hours before hair wash. Moisturized hair will attract dust if you go out. • Massage your scalp daily. Massaging helps circulate blood and brings nutrients to the scalp. Put both your hands on the head and move your fingers in slow, circular motion. Massaging will make your scalp warm and tingly — it is an indicator that blood is flowing to the scalp which will help in hair growth. • Include protein in your diet. Protein strengthens hair and controls hair falling. Eat a high protein diet filled with meat, fish, eggs, avocados, nuts, and beans, or add protein supplements to your drinks. • Increase your folic acid intake. Folic acid is vital for hair health and growth. Include food with high folic acid in your diet. Add soybeans, green vegetables, and carrots to your daily menu.